While press releases issued by the parties and appearing on blogs and distributed to the media did explain policy platforms in different areas, most reports appear to indicate that campaigning on the ground was personality based, with little ideological or programmatic content. The voting patterns indicate that local loyalties played a significant role. In Dili, where local clan, village and locality ties are weaker, the situation seems more fluid. Frustration with high levels of unemployment and housing problems produce higher levels of frustration with the incumbent government. Another, smaller but significant, reflection of the low ideological and programmatic content of political life was the reduced vote of the Socialist Party of Timor (PST) compared with its vote in 2001. The PST has been the only party trying to build a party based on a clear ideological platform and on organizing and mobilizing people at the base through cooperatives, trying to develop a politics of self-organisation. Six years of such efforts, and some strong bases in some areas, gave them lesser results than in 2001. In an interview I did with the PST’s, Secretary General, Avelino da Silva, he explained that one way the PST will be responding to these results is tightening its norms of membership, insisting on more strict dues paying, participation in political education and taking on of responsibility as organizers. The aim is to consolidate the commitment and quality of its cadres. This is likely to result in a smaller organization in the short term. The PST’s vote in the parliamentary election was also significantly less than the vote for Avelino da Silva himself in the first round of the Presidential elections just a few weeks earlier. This is consistent with the general pattern of voting where personality looms larger than ideology, programme or platform. While da Silva has not been a central figure of the national liberation movement, he has been for some time the central figure on the far Left. His competence and energy has meant that, despite being outside the mainstream party coalitions, he has been asked to take on key movement responsibilities by the mainstream leadership. In the 1990s, Xanana Gusmao asked him to organie an armed force inside Indonesia, which he did until his headquarters were raided in Semarang and he sought refuge in a foreign Embassy. After the referendum, he was asked to join the CNRT leadership council (which included FRETILIN also.) After Independence, he was asked to be part of the State Council, a constitutionally mandated advisory body to the President. His personal authority is greater than the authority so far won by the PST. The main division is between Xanana and Horta on the one hand and the Alkatiri leadership group of FRETILIN on the other. Gusmao and Horta initiated the move to form CNRT in the 1980s as way to unite FRETILIN and its old rival, UDT, against the Indonesian occupation. In the process, Xanana and Horta, both of whom left FRETILIN as part of this process, emerged as the most recognized leaders of the national liberation effort, overshadowing the FRETILIN leaders overseas. After the formation of CNRT, new organizations emerged, especially among youth, such as RENETIL, who no longer had any ideological connections with the movements of 1975. Since the forming of CNRT, the main colour of the ideological outlook of new organizations was one that reflected heavy influence of the diplomatic struggle, ie. emphasising the necessity of unity over ideological clarity and reflecting the United Nations manifestos and documents on human, social and economic rights. Meanwhile, the overseas FRETILIN activists spent 20 plus years in political environments influenced by very conservative Eurocommunist, Labour Party and one-party state environments. This produced a moderate social democratic political outlook very similar to that of Gusmao and Horta, but articulated in a more Left sounding rhetoric. In Australia, for example, while FRETILIN fought the Australian government in close alliance with the far Left Democratic Socialist Party (DSP), as soon as this struggle was no longer a priority it forged a close alliance with the ALP. Abandonment of the historical claim by FRETILIN to leadership is at the base of the primary conflict within the Timorese elite. Secondary issues, such as generational change, explains the emergence of a party such as PD. Other parties, such as ASDT and PSD, while having some slight ideological colour, are primarily based around the authority of individual personalities. The weak authority of the leadership was not so clearly revealed in the 2001 elections. This was because the divisions among the leadership and their respective popular support was not tested in 2001. In the 2001 Presidential elections, FRETILIN did not stand against Xanana nor campaign against him. In the 2001 Parliamentary elections Xanana and Horta did not establish a party to stand against FRETILIN, as they have done this time. In this situation, where the size and character of each group’s support was not challenged in a head-on competition, Xanana was elected with 80% of the vote and FRETILIN won 60% of the vote in the parliamentary elections. These most recent elections, where they went head-to-head, have given a more accurate measure of the situation. The weak, fractured and apolitical authority of the leaders and institutions of the national liberation movement are a result of low levels of mobilization and ideological content during the movement. 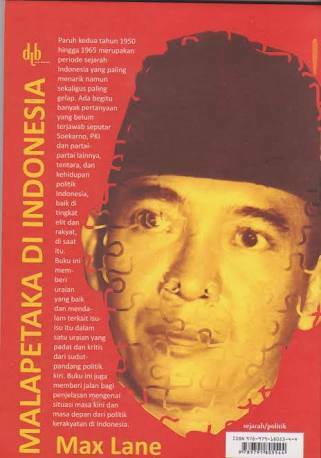 The Indonesian military occupation was so intense, with such a high ratio of soldiers to civilian population, that any open political organization was impossible. This was especially the case after 1991, following the Dili Santa Cruz massacre, which was in fact aimed at ending a period of open mobilization that had begun at the time of the Pope’s visit in 1990. Many youth activists went into exile in Australia in the years after 1991. Organisation was restricted to ensuring the delivery of medicines, food and so on the small band of guerillas in the bush, harassing the Indonesian military. 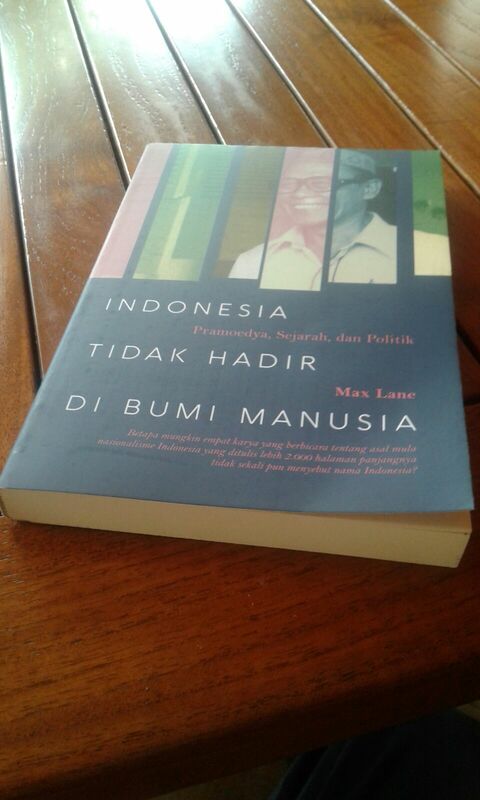 What political mobilization did take place was in Jakarta, with a series of occupations of foreign Embassies. However, the organizations leading this were part of the CNRT generation who had been convinced by their elders to abandon ideological debate in the name of unity. The exception to this was the very small group of students, led by Avelino da Silva, who adopted socialist politics. Internationally, Ramos Horta as the highest profile diplomatic spokesperson and organizer, achieved a profile in East Timor as a result of the Portuguese radio broadcasts that could be heard in the country. However, this is also a fragile base upon which to build a national political authority. 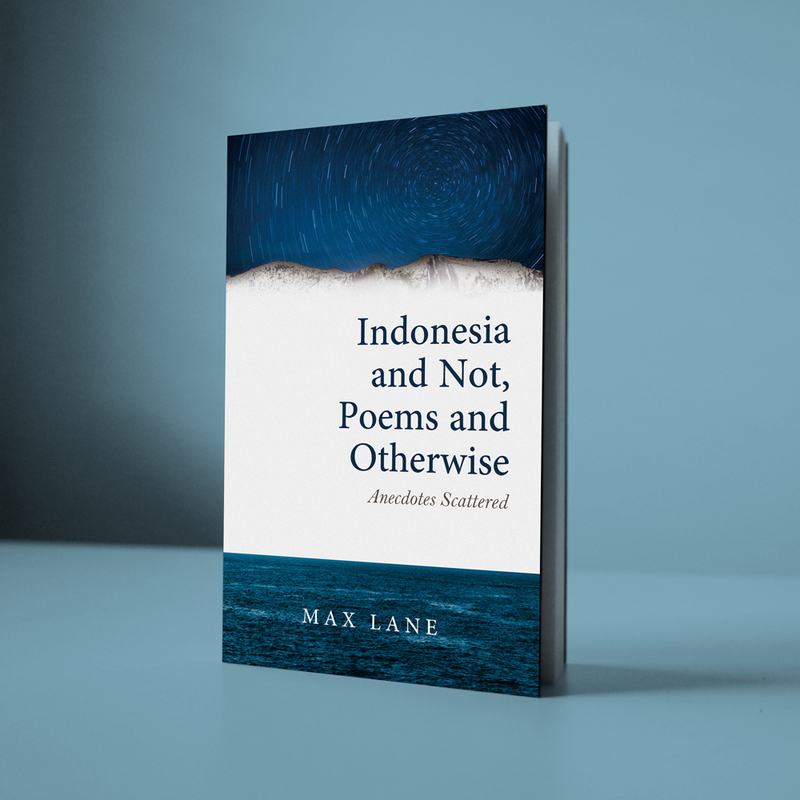 Xanana, in prison, led the Jakarta protests symbolically and reinforcing the tactic, but did not write and therefore win any substantial ideological authority. His authority remained, essentially symbolic. The absence of serious ideological conflict is a reflection of the absence of class-based politics. The broad elite, comprising returning small property owners, politicians, intellectuals as well as long-term property owners, bureaucrats, technocrats and so on, all share a similar outlook. This is characterized by the acceptance of a capitalist development strategy, with a strong role for the private sector, but with social democratic welfare style state intervention, as well as state intervention to assist in modernizing the economy. The PST’s outlook has always accepted some aspects of the necessity of capitalist development in East Timor, but has also emphasized the necessity and potential of politically conscious mass mobilization in both politics and economic development through cooperatives. This is a qualitatively different stance between an administratively and market driven development strategy; it is a strategy based on direction from a mobilized society. The PST’s small vote, however, has revealed the difficulty in winning a hearing for this perspective. The problems relate to the class structure. East Timor remains essentially a subsistence society, with most of the population only slightly connected to a market economy. The lack of national economy (market) integrating the population into a single economic unit is paralleled by a social dispersal with people still living relatively isolated from each other. A media system that can help overcome this is only at a very early stage of development. There is no print media with a serious national coverage or circulation. Localised patron-client political networks predominate over either pro-capitalist national ideological structures as well as class based, even if moderate (reformist) structures. In Dili, the lack of any industry is reflected in a large reserve army of educated labour going in and out of jobs, as clerks in officers, shop assistants, drivers and other similar work. There is some stable work around the harbour, but this involves small numbers. (I am not sure of the situation among civil servants and teachers.) While this has created some basis for union organizing and labour rights advocacy, the fluid nature of employment and the intense rivalry for work also acts countervailing tendencies. A class basis for even a moderate (reformist) labour movement is weak. While these circumstances remain, personality and personalities are likely to loom large in political life. After an attempt – futile from the start – to establish a government of national unity, a government has been formed based on the Alliance for a Parliamentary Majority (AMP), head by Xanana Gusmao. The AMP is based around CNRT, PD and ASDT/PSD. Xanana Gusmao is now Prime Minister. The President of he PD was elected as speaker of the parliament. FRETILIN is now in opposition. Meanwhile, FRETILIN has declared that it considers the government unconstititutional and boycotted the swearing in of the new government. It’s argument is that the President (Horta) should have sworn in a Prime Minister and Cabinet chosen by the party which won the most votes in the election, i.e. Fretilin, 29%. Horta’s argument was that he also had the constitutional right to appoint a coalition if it had majority suppor in parliament, which the AMP has. Following Horta’s announcement, attacks on houses and buildings, including burnings, took place. These have been reported as carried out by FRETILIN supporters. Meanwhile, all party leaders, including from FRETILIN, have called for a halt to these actions. This includes Alkatiri who also noted that he understood the rioters’ frustrations. FRETILIN has also announced that it will challenge the government through various, as yet unspecified, legal channels. It is difficult to assess what will happen next. I do not think there are substantial policy differences between AMP and FRETILIN – although there may now be a dynamic to find some and accentuate them. During the Presidential election campaign Horta criticized FRETILIN for keeping too rigidly to the financial model proposed by the IMF, involving minimizing calls on oil and gas revenues deposited in special accounts. The IMF and the World Bank had praised the FRETILIN government for its fiscal responsibility. However, some supporters of FRETILIN have claimed that they too were prepared to draw on this money if the so-called absorptive capacity was there. (While trying to establish a bourgeois state with a professional civil service, starting from nil and eschewing a mobilizing approach, the absorptive capacity, i.e. ability to identify, tender and implement projects is likely to remain limited.) Some FRETILIN supporters also strongly defended this policy as proof of their fiscal responsibility. In the end, this may turn about to be a difference of degree, or no difference at all. The source of the conflict (which has always had deep personal rivalries attached to it) remains FRETILIN’s opposition to and refusal to accept the abandonment of the historical claim by FRETILIN to leadership and state rule. Another interesting development was the acceptance of the post of State Secretary for Energy Policy in the new cabinet, by PST, Secretary-General, Avelino da Silva. In this post, he will be responsible for such areas as electrification of villages. During the last several years, the PST has been sometimes in alliance with FRETILIN, such as on the issue of religious education in the schools. However, since the unrest of April, 2006, PST has been increasingly critical of FRETIIN. While the attempt to solve political problems in the Army through excessively administrative means by Alkatiri may have been an earlier cause of this criticism, the PST has been critical both in terms of (1) the economic strategy it was defending (especially the low prioritization of agriculture and formal position of minimizing drawing on saved gas revenues) and (2) what the PST saw as an increasingly undemocratic and repressive attitude to its opponents, manifested in intimidation during the election campaign. During the election campaign, as Horta increasingly appealed to he poorer sectors of society, promising more money for agriculture, welfare and pensions, the PST gave critical support to Horta. During the parliamentary elections, the PST ran its own campaign increasing the Left content of its ideological explanations. At the same time, Avelino da Silva stated in an interview that the PST Central Committee also decided hat five of its members, including its single sitting member of parliament apply to have his name entered on the CNRT list. He was elected to Parliament. It is likely that the PST’s calculation is that until this very new Cabinet has been fully tested in the eyes of the people, and while the eyes of the people are on it, there will be scope for a PST leader to further prove himself and his politics, providing a platform from which to project their profile. The emphasis on agriculture, increase on pensions and so on are very similar to what the PST had advocated – minus the emphasis for conscientization through a politically mobilized cooperatives movement. This step is, of course, full of dangers. The PST is a very small party now embarking on a consolidation that will, in the first stage, make it smaller. The environment is not conducive to a radicalization among youth along socialist lines, as noted earlier. Da Silva, as Secretary General, will have substantial demands on his time in his new post. The next layer of cadre will need to step forward quickly. There will be also extreme pressure on Da Silva to accommodate to the more conservative atmosphere of government, with some fairly conservative people in the Cabinet – although many appear to be younger people with minimal political background but appointed on a skills basis. What contradictions might arise from a serious attempt by the new government to use oil and gas money to develop East Timor to benefit its people but within a capitalist framework and without any interest in mobilizing its people will be revealed, I would think, within 12 months or so. Speech of HE Prime Minister of Timor Leste, Kay Rala Xanana Gusmao, at the swearing in ceremony of the members of the government. Today is another important landmark in our young Timorese democracy, because it is the culmination of a long process, one initiated this year with the presidential elections, followed by the legislative elections. This last election especially, taking into account the official results, was a true test of the Constitution of Timor Leste and the democratic maturity of the Timorese. This maturity was present in those who presented and defended their candidatures, those whose commitment made possible the electoral process, those who were present at the polling booths to endorse confidence through their vote, those who throughout this month participated and contributed to a truly democratic dialogue, searching for the best solution to attain stability in this country. We have all been active agents in this democratic process. The results of the election on the 30th June were absolutely clear, opening a new political cycle in this country. The Timorese elected their representatives to the national parliament, affirming a majority in the parliament and this majority was a clear mandate to form a stable government. This mandate revealed the political need for change for all Timorese, a sign of confidence, but also a demand for exigency and this is why I dedicate this mandate to all Timorese, from Lospalos to Oé-cusse. It was because of you and for you that I received the incumbency and challenge of leading the 4th constitutional government, that Your Excellency, Mr. President, agreed to appoint us, invested with democratic and constitutional legitimacy. Today, I represent, as the new sworn prime-minister, the culmination of the efforts of four political parties, united in an alliance to form a parliamentary majority, which take upon themselves the challenge of redefining the path that the country will take, as a unique opportunity to transform Timor-Leste into a stable national community, united and looking to the future. It is, thus, the will of the Timorese, the will of change, the will for a new and reforming political plan that as of today has been sworn in. We also accept, with appreciation, the trust endorsed in us and we are convinced that we are not going to disappoint the expectations of you all, because the thing that united us to form this government was the interest of the people. That was the reason why various political parties are united under one set of ideas and plans to accomplish the noble mission of granting to this country, specially to the future generations, the hope in a future where respect for others and tolerance would walk together with the social and economic development of this country. Looking back to our past it is not difficult to conclude that all Timorese bear on their shoulders a heavy burden of pain and suffering. After hundreds of years of Portuguese colonialisation and 24 years of Indonesian occupation we finally succeeded, and with immense personal sacrifice, in freeing our land! The people have proven that the policy of intimidation and violence is not sufficient to discourage them, and at any crucial moment to say yes or no to their own future. We did it in August 1999, we did in August 2001, and we did it, without hesitation, in June 2007. Our people have always been able to overcome all obstacles and difficulties in order to confirm its desires. And, in elections, the hope is that the vote is understood as a vote to improve the social, political and economic conditions that encompass the daily living of our people. The greatest desire of our people is to live in peace; free of political persecution, free of insecurity in their lives, free of threat or violation of human rights! The people of Timor-Leste want to live in peace, without shooting or war, between Timorese or with others. The strengthening of the state is difficult. We have all understood this during the last 5 years. The strengthening of the state necessarily includes respect for our constitution and for universal values, to which we also adhere. Without this sound base of democratic principles, enshrined in the constitution, the raising of the state would be fragile. The most sacred national interests are revered in the constitution. Last year, we all were participants and spectators to violence that lives on as a nightmare, part of both our distant and recent past. We accept, with disappointment, the reopening of wounds that were not healed and the opening of profound new ones. We lived through an extremely difficult political climate, where tolerance gave way to social corrosion, where harmony surrendered to violence, where the spirit of peace gave way to attempts to corrupt our mentality, where the dignity of humanity submitted to political manipulation, intimidation and threat. It is imperative to reflect on these events, to investigate responsibility and resolve the hurt of the crisis. For this, it seems obvious to pursue the recommendations of the report of the Special Independent Commission of Inquiry, so that the people understand what occurred and to halt the cloud of distrust over them. As well, there is the report of CAVR concerning this collective experience over 25 years, which must be considered. This common experience helps us to understand our past and to better know ourselves. And for that reason we cannot ignore the lessons of the past in order to understand the current crisis, and protect the future. Understanding our common history, the government of the Alliance for Parliamentary Majority (AMP) is proposing today that we free ourselves from ties of the past, dignifying the heroes of our liberation and with the strong foundation of our culture and the sense of belonging to a community, we will build for all a better Timor Leste. The democratic process of Timor Leste is at a stage of growth and is still very fragile. We received from UNTAET, in May 2002, a draft of what the modern state could be: democratic and functional. It was left to Dr. Mari Alkatari and his government a remarkable task to build from scratch the basis of a democratic system, establish state institutions and develop public administration. It is unquestionable that to plan a framework for sustainable development and progress is an arduous task for anyone who inherits a country with the situation of a deficit economy, with much of the infrastructure destroyed and non-existent public administration, without even mentioning the series of other indicators characteristic of an underdeveloped and post-conflict country. Despite this, I want to express my personal recognition of the efforts and successes that have been achieved in many fundamental areas of the countrys development. Many of the political priorities established by Dr. Mari Alkatiri and later reinforced by his successors, Dr Ramos-Horta and Eng. Estanislau da Silva, will be taken into account by the government of AMP. Still, there is a strong desire to change the things that our predecessors could not, with the humility of one who receives a precious gift, but with the determination of one who wants complete transformation of the system, with the goal to advance the real and profound reform of state management. The commitment that I assume today before Your Excellency, Mr. President of the Republic, and before the people, is that no political party, no institutional entity, no representative of civil society, no citizen, will be excluded from the democratic process because all will be called to participate consciously and actively in the construction of our country, safeguarding the greatest values of democratic doctrine. So, with the participation of all, integrating an active civil society and responsible opposition, the government can honour its commitments, respecting the political program that receives the support of the majority of voters  in our case, a fusion of four programs. The overall program is open to the proposals of all, but oriented by its own ideas, its own plan, its own agenda. You may have noted that the formation of this government lacks the significant presence of women, and this is not because of a lack of esteem for Timorese women. We accept the criticism, but our political will has been more oriented towards the efficient implementation of our program of reform. This government embraces a significant percentage of non­political professionals, aiming to create a solid basis for growth. The AMP has a considerable number of women in the national parliament, and the government is planning a strategy for the more coherent training for womens involvement in the various sectors of public life. vi) the fundamental principle that all should comply with the law. The action that the government considers its first priority, and to be implemented by the end of this year, is to regain the confidence of the organs and institutions of the state. * prepare a national state budget for the fiscal year 2008, adjusted to the real needs of the country, in order to follow an integrated national development plan, making possible real transformation of the living conditions, altering immediately the fiscal year to the civil year. This government was conceived with the idea to change the present and the immediate future of Timor Leste through radical reform that will mobilize all Timorese for the shared purpose of national development, the intention of improving the lives of the population. We share the desire for decentralization of power, dividing the administration of the country, so that the process of decision-making is entrusted to local government, that the people feel that the power to make decisions is not the monopoly of a distant centralized government. To recover the confidence of the people we must make a dynamic launch into progressive growth, capable of fighting against unemployment and social inequalities. Only with a strategic plan for economic development, people will understand and follow the phases of the process of national reconstruction, in which the people will be the main actors. No development plan will be direct and realistic if it does not offer an option for industrialization of the country. To realize this, agriculture, fisheries and stock farming are priorities of the national development. Timor Leste is still in the stage of subsistence agriculture and we have to overcome this situation. We need to move from this phase of subsistence to production for markets and we need to move from the state of small scale production to a regional specialization of products. We also need to move away from a constant cycle of drought by building infra structure for water reservoirs and irrigation systems, securing the production, and, irreversibly, the development of agriculture. The government intends, with the administrative division of the country, to implement a plan of diversification and intensification of agricultural production, in order to establish a domestic market that guarantees markets for our products and, as an objective, to achieve adequate food security. It is also possible to consider, in the medium term, targeting external niche markets. In the same way, fisheries will be better supported in order that, in the inland regions/districts, the population can gain access to fish consumption in their daily diet. The development of small to medium industries in this sector, and of other sea products, will be a source of job creation and a source of income to this country. The Government contends that stock farming should be better supported and receive more incentives in order to guarantee domestically the foundations for the development of the small and medium industries of meat by-products, milk, butter and cheese for domestic consumption, or, in the future, for export. The government shall also put considerable effort into developing, in a sustained way, the standards of living of all Timorese, and this objective will underpin political initiatives, bearing in mind the need in housing, public works, transportation, communication, water, electricity, basic sanitation, not only in the capital but spreading across the country, in order to improve standards of living of those in immediate need and in serious shortage. The government, immediately, assumes a commitment to develop an environmental policy for this country, guided by basic principles of sustainable development and harmony, integrating them in a common platform of environmental, economic, social and cultural components. Bearing in mind that this half-island is rich in natural resources, we now face the challenge of increasing the economic value of our resources and of establishing and promoting a system of land management and territorial planning that will safeguard and will not depreciate the economic value of our natural resources. Promoting a clear policy for the protection of sea life and especially the sea corals (the reefs) will avoid their immediate corrosion and destruction and plan their future as important centers of tourism. Re-forestation is equally urgent. We need to educate our population in order to avoid the continuous destruction of our natural resources and to implant new mentalities in our children which respect our soil and the natural environment. The government, in its plan for national development, will include the execution of analytical studies of the preservation of forests, in order to stimulate a well-established, sequential and systematized production of native wood of commercial value and the introduction of analytical research into the possibilities of introducing new species in order to generate, in time, self-sufficiency with minimum imports on this particular class of goods. It is not a new concept that the private sector is an essential partner in the national endeavor for development. It generates wealth and self-sustained employment outside public sector jobs and activities. For that reason, it is now absolutely necessary to insure that investors shall be better informed about the investment opportunities available in this country in order for them to invest in accordance with our countrys interests and economic profile. Revising the investment policy in order to encourage direct foreign investment will be one of the means for job creation for our youth. It is then necessary to correct prior mistakes and to promote an environment of true tolerance and respect for others in order to convert our country into a magnet to attract foreign investment. The government strongly endorses the creation of a specialized agency to deal with investment issues, with autonomy and independence from political power because an agency of this nature guarantees more and better transparency which is absolutely critical to the development of these type of activities. This government shall also commit itself to amend and eliminate the on-going system of favoritism that has been responsible for causing an unfavourable impression of our country overseas, that only favors very few and to the sole benefit of the installed political elites controlling power in this country. The private sector will also receive careful attention from this government. We are going to request from all the compliance with compulsory minimum legal standards in everything related to the incorporation of firms, and by doing that, we will also promote economic consolidation of daily activities and economic transactions, providing an improved chance for active participation in our future development. Bearing this in mind, our national private sector should, in the future, receive more incentives from the state, with no discrimination. These incentives should only be dependent on criteria of technical competence, value added by the project, professional record of implementers and technical ability of developers. We also have to fight political influences that undermine the process of reconstructing this country and the chance of enlarging our national businesses fabric. Transparency in the awarding of projects and transparency in the annual fiscal accountability of each company will be our indicator for the assessment of sector economic growth. The government affirms before all of you that it will accept all needed support in the formation in this country for small and medium companies, not only to add value to our national products but equally to give incentive to all productive activity in order to create more jobs to our people. The government is also committed to providing incentives to support cooperatives, to overcome difficulties encountered by small individual producers. For all this, the government has a firm commitment to creating a National Bank for Development, to offer credit that will boost the private sector. In the short term Timor-Leste will proceed to overcome some factors that have been restricting our economic development. In order to do that, we will subscribe to the proposal presented by Dr. Ramos-Horta  set-up while he was prime-minister (chief of cabinet) of the 2nd constitutional government  to create a new and simplified smart tax system to favor impoverished citizens and that will also give additional incentive to the private sector, foreign investment and job creation. We will also pursue sound public finances and transparency, being a pre­requisite for our economic development. Additionally, adequate management with proper transparency, rigor, exigency and reliability is fundamental in the domain of public finance and national budgeting. Transparency and reliability in public spending in the long-run is the only clear way to assure sustainability and sound accountability in public spending and to assure competitiveness in the overall economy, and more credibility in the eyes of our people and the international community. This government is determined to create an Anti-Corruption Commission with real powers to intervene, which, together with the office of the public prosecutor will bring about a culture of integrity, rigour, and professionalism in public administration. In one week time, those who are invested today in this inaugural act will produce a public statement of their personal properties and assets, what each of us possesses, and this list will be published and sent to the state office for justice and human rights. In order to put into practice ambitious political measures it is necessary, first, that the state itself goes through a thorough and radical transformation to, among other things, denounce party politics, centralization, red tape and inefficiency which corrupts public service mentalities. It is the duty of this government, which has assumed the political commitment of rejecting any kind of favoritism, to oversee cabinet members in order to guarantee that none will prioritize individual interests above collective interest and to promote a general environment of responsibility and integrity within the Council of Ministers. We want this policy to become an example and a model to be followed by all civil servants. The recovery of our confidence in the future is linked to the prestige of our democratic institutions and the dignifying of their conduct in the eyes of Timorese citizens. Thus, we need to restore credibility in our political system and that is going to require reforms in the way they are structured and also in their respective modus operandi. The government will accelerate professional training within the complete range of civil service and, with the help of a proper framework, secure certainty in career progression and promotions, including time and conditions for retirement. Investing in education is, primarily, investing in the future of our country. The government will single out priority areas for immediate intervention in the education sector. Our plan of action is guided by the urgent need for reform in our educational system. We will fight against the proliferation of private schools and universities open without proper criteria, without proper quality standards in their teaching materials. Instead, we will invest in guided professional formation, that will, in fact, build capacity in our young adults in order to empower them with the necessary tools for their participation in the development of our country, in sectors that are fundamental to us. This will bring certainty and with it integration into the working force by using adequate remedies to fight the unemployment challenge in our youth. This government considers that our schools and universities are not just conveyors of technical and scientific knowledge. They also serve to widen horizons, develop capacity of reasoning, to mould conducts and behaviors. Schools and universities are an obvious space for creation of basic conditions for civic education. In the light of this, children and youth will be able to share respect for human dignity, exercise common-good, and contribute to the reconstruction of the state in the spirit of the democratic values, civic and human rights. We consider equally important the physical development of our youth. Consequently, we will build sport infra-structure in all schools in order to guarantee that our children will mature, healthy in body and mind. Progressively, we plan to extend this program to all districts and sub­districts. This government will seriously consider free primary education for all children in Timor-Leste, alleviating the burden on thousands of families. This Government will give incentives each year, financial awards to the best students around the country, and implement a rigorous and transparent policy of scholarships in order to raise the intellectual capacity of our next generation. In relation to the health sector, I should congratulate Dr. António Maria de Araújo for the magnificent work he has developed in this sector. This government will pursue a similar policy as previously defined, but will dedicate special attention to the development of a national health system that will guarantee a reliable supply of good health care to our population. This government hopes to combine this objective with a system of preventive disease measures and sanitation education, food-related issues and hygiene, absolutely crucial in the remotes areas of this country. We are a small country and there is no justification for our population to go on living in isolated clusters, far from any basic services providers. To raise the quality of our democratic system in Timor-Leste, necessarily, our justice and security systems must be instruments to serve the rights of citizenship. Justice constitutes one of the essential goals of the state, and one of its undeniable functions. To promote a culture of justice -credible, independent and impartial – within the Timorese judicial system, implies a clear administration of justice and more active magistracy. Democracy, development and the well-being of the population depends essentially on a functional justice system. The approval of legislative acts such as the penal code will receive immediate attention. But this alone will not be enough because it is our priority to give more permanent and continuous operational capacity to the district courts which still lack proper facilities, equipment and administrative services. This government proposes the creation and installation of a tribunal to judge the legality of public spending (tribunal de contas) in order to make accountable any government, now and in the future, for decisions taken on public spending. Security is also a fundamental area, one of our state pillars, because the state has the obligation to fight for the dignity and well-being of its citizens as well as for the security of the individual and property. We will, in the capacity of new invested government, give continuity to a policy of innovation in the PNTL making this institution truly professional, non partisan, and worthy of credit at the eyes of people and communities. We will be committed to revising the security sector and implementing mechanisms that will capacitate PNTL with human and non human resources necessary to accomplish their mission. In the defense sector this government will be committed to revising the existing policy for the armed forces, making military personnel an example of professional good conduct and behavior, not only in order to have them take a more active role in the reconstruction of the country, but also in better participation, with dignity, in international missions, contributing to a more peace world, the longing of all people. To do this, we will reinforce the role of the armed forces, enacting the adequate legislation needed for the improvement of the army performance, namely, the national defense law and improvement of the armed forces in order to create a structure and establish a methodology that will define the system of national forces and their mechanism of activity, as well as the human and physical resources needed for the accomplishment of any missions. It is also urgent to implement the reforms that are related to the study group of the force 2020, concerning the edification of the institutional capacity of the F-FDTL . A concerted policy in the defense sector and security sector is fundamental to guarantee the freedom and sovereignty of the country and the consolidation of a democratic state where the rule of law reigns. Thus, it is not merely accidental or arbitrary that these two areas will be under the office of the prime-minister. An integral part of a democratic state is the right to be informed and it is in this sense that we assume the commitment to guarantee freedom of the press and the independence of the public media, before economic and political power. We want to contribute to a public service of radio and television that protects and represents the culture and traditions of Timor-Leste and guarantees pluralism of expression. We consider that the media can be an important vehicle to develop avenues of civil education and the promotion of good citizenship, in innovative ways, contributing to the understanding of the national political process, for which they can count of the organs of sovereignty. No political project will be successful without taking into consideration other fundamental areas of national stabilization. We will commit ourselves to social policies to fight poverty and social inequality, because we cannot close our eyes to what we see, when we travel around our country, where the majority of our population, particularly our children, still do not have access to essential goods and services, almost touching on disrespect for humane conditions. We will not rest while our elderly, after 24 years of sacrifice, still endure hunger, cold, sickness and isolation in the last years of their lives. These people, along with the disabled, the widows, and the orphans of our freedom, will be the target of concrete projects that ensure their protection. Continuing the efforts previously developed, and that I personally promoted to the extent that was constitutionally possible, I can guarantee immediately that we will not ignore what is owed to the veterans. * establish a MOU with the Church, making it the recipient of an annual subsidy that will correspond with their annual activity, specifically in education, professional training and social, economic and cultural areas. We will establish a mechanism of responsibility and transparency in accounting. We are evidence that the establishment of a country is not limited to only its internal efforts. Since the beginning of our existence as a sovereign state, we have cultivated policy, friendship and cooperation with various countries, especially with those that are closest to us, those geographically and those historically. I am obviously referring to Australia, Indonesia and Portugal. This government will reinforce ties of friendship and promote even closer cooperation with these governments and also promote ties of cooperation with all countries around the world, guided by the principles of mutual respect and non-interference with internal matters of each state. We will commit ourselves to putting into practice the universal principles of human rights to which we have adhered, enshrined through international covenants, and to participate in the best possible way within the United Nations, that will reinforce the democratic values of dialogue, tolerance and peace, dignifying the presence of Timor-Leste within world organizations. We will continue with the process of adhering to ASEAN and to participate in the South Pacific Forum, ACP and APEC, to increase the opportunities of cooperation, especially the economic cooperation, to the benefit of the people of Timor-Leste. We will maintain our existing relations with the Community of Lusophone Nations, which is an expression of universality, given that through this relationship we also relate ourselves with Africa, America and Europe. This government is counting on all partners in civil society to achieve success in all these objectives that we commit ourselves to pursue, not only through dialogue, but also through the involvement of civil society in the institutional capacity building of the state. To make necessary change effective, we also count on the indispensable participation of the Catholic Church, secular institutions, strong and conciliatory within the Timorese society. This government will invite the Catholic Church to be an active part in this change of mentality, towards a culture of peace, tolerance and equality, assuming a more predominant role in education and training of Timorese, in human development and in the necessary fight against poverty. To reinforce cooperation with other religious denominations is also one of the objectives of this government, convinced that they can provide valuable contributions to development of the individual and consequently to all Timorese society. these organizations are privileged interlocutors with the communities. want to express our most profound gratitude. Lima, Lautém and Viqueque and all the other that did not vote for us. political interests, and can never become and act as such. That would be a complete betrayal of the spirit of solidarity that we assume before you, the people of Timor-Leste. You are the beginning, the meaning and the ultimate goal of our mission. To those of you that voted for FRETILIN, the AMP wants to be clear and express a word of comfort and political commitment: in our government your aspirations and your needs will be addressed very seriously and with sincere respect. Also addressing all of you civil servants, administrators and members of the PNTL, who have been actively supporting FRETLIN, I affirm that the government of the AMP will not proceed with any political discrimination against you. However, our policy is one of correcting and reforming the institutions and mentalities, under fair and transparent criteria. The AMP is committed to making some reforms for the best of this countrys governance and we are 100% convinced that the government alone cannot assume this priority inscribed in our national interest without a serious and honest institutional solidarity of all organs of sovereignty, in their close relationship with Your Excellency, Mr. President, and with Your Excellency, the speaker of the national parliament. The organs of sovereignty were recently invested and all of them, with no exceptions, have assumed ambitious programmes for the development and stability of our country. I should refer as an example the action plan of Your Excellency, Mr. President of the Republic, to fight poverty in the context of a presidency open to the poor. It is the obligation of the national parliament and the government to unconditionally give support to this plan. It is all people who need to be served and it is up to us, the organs of sovereignty, to execute this mission. To conclude, I appeal to our people to never relinquish their degree of exigency in their representatives elected to the organs of sovereignty and especially with the government. It is up to us to conduct and execute the general policy of this country. It is up to the people to call us to account for our failures. The project that I present is ambitious and we will only arrive at the chequered flag if all of us will work together, overcoming challenges and obstacles with permanent dialogue  if for any reason you would feel that your voice is not echoing in our hearts give it a try and shout! But please never be silent! However, we should, once and for all, say: no to violence! AUGUST | O8 | 2007. *The original version of this speech appears in Portuguese which should be referred in authenticating meaning.